Kaeseria is my hometown and it has a multi-ethnic structure. And I know what its name means. Cut in Latin. Because of Caesar's birth method. Here are Caucasians, Armenians, Jews, Greeks, Turks, Kurds, Gipsies etc. And I know that "sucuk and pastirma" are Armenian foods. Who can write about this city??? I've just been sent a photocopy of a Turkish-Armenian book "Cesara and the St. Gregory the Iluminator Church" published in 1986 in Istanbul. It's in Turkish, Armenian, and English and has a lot about the early history of Christian Kayseri. But as for the later histoty - not a word of explanation about how the Armenian population in and around the city went from 30,733 in 1893 to only 2653 in 1924 (or down to 1600 in 1932, 800 in 1960, 12 in 1986, and today - so I am told - none at all). Actually, my big big ancestors were not Kaeserian. All of you know what the Russian army did to us and our lands. I am the tor'ung of the immigrants. I know the Roman Castle (from 3th century). Now it's the center of the modern city. And no one in Kayseri can dare to research his/her family tree (except North Caucasus origins like me). Because there will certainly be a Greek, Armenian or a Jewish relation. My hometown is east in Kayseri. County of Pinarbasi. There are mostly Caucasians and Turcomen more than Anatolian Turks. I want to share my infos about 38 (licence plate number of Kayseri) with more users, too. Edited by Caucasian, 30 August 2003 - 11:35 AM. From start to finish, the pastırma process takes around one month. The choice cuts for pastırma are from the rib, sirloin, and fillet. The fattiest parts of the rib and fillet are called tütünlükand kuşgömü, and these are the prized cuts among connoisseurs. Kayseri locals say that these cuts “make the beard dance,” because chewing on these soft morsels is just enough motion to make the hairs on your chin shake, no more. &amp;amp;amp;amp;amp;amp;lt;img src=""Pastırma with hummus at Cukur Mmeyhane in Istanbul. The fifth book of the “Sounds of Silence” series has been published with the support of Consulate General of Sweden and Consulate General of Netherlands. Kayseri’s Armenians Speak, is a product of the oral history project carried out since 2011 by Hrant Dink Foundation. 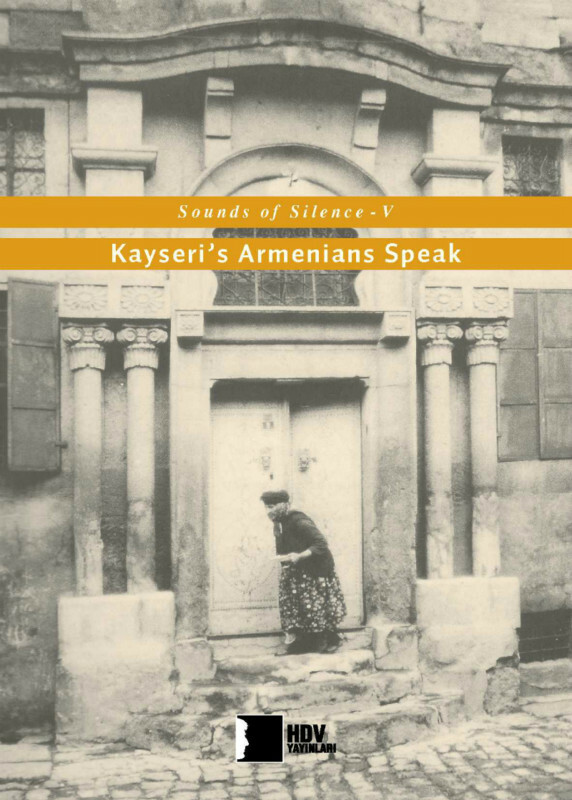 The Sounds of Silence – V: Kayseri’s Armenians Speak, which compiles 10 out of the 28 interviews. The book contains, in addition to the oral history interviews conducted, the introduction by the historian Dr. Mehmet Polatel and the afterword by the editor Dr. İclal Ayşe Küçükkırca, whom are members of the Hrant Dink Foundation’s History Program. Kayseri’s Armenians Speak is taking us to a visit through the memoirs of the Armenian society. This book is giving clues about the “self” and “other” perception the Armenian society carries, by giving examples on the deportation and genocide memories transmitted through generations, as the other books of the series. Kayseri was one of the rare cities in which Armenians continued to live during the Republican period, with 1,978 Armenians registered there according to the 1927 census. This total dropped to 1,600 in 1932, to 800 in 1960 and to zero today. After the migration of Armenians living in various areas of Anatolia to Istanbul, predominantly in the 1950s, a significant number of Armenians from Kayseri gathered in the Samatya district in particular.